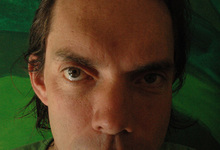 Since 1990 filmmaker and artist Karel Doing has been creating films, performances and installations focusing on sensorial and environmental topics. Through the study of material process, the recording of oral history and the (re)use of cinematic heritage he explores alternative knowledge systems. Doing's work has been shown worldwide in cinemas, galleries, museums and on stage. He has has given workshops and lectures internationally at Willem de Kooning Academy, Piet Zwart Institute, KABK, Nordland Kunst og Filmfagskole, FAMU, University of East London, Ravensbourne College and School for New Dance Development. He is presently based in Cambridge and London.